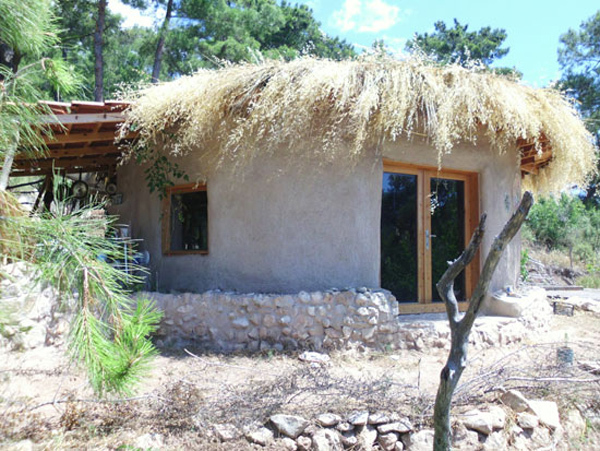 This simple earthbag house has withstood four earthquakes. “Four years ago, I was camped upon a hill in Turkey watching the canvas of my tent buckle ominously. The wind howled, and rain started to drip onto my forehead. I’d been living in the tent for six months, but winter had suddenly arrived. I needed a house. Fast. One note: I would rephrase “sacks with wet mud” to “sacks or bags with moist subsoil”. If it’s too wet with water squishing out the bags then you can’t keep laying earthbags on top of each other until they’ve hardened up. With moist soil you can keep right on building day after day. 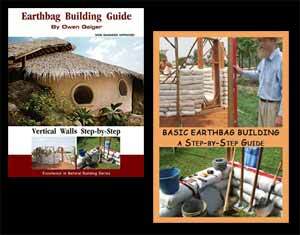 Also note, this earthbag house by Atulya Bingham has helped push this building technology forward in Nepal. Because no one has hundreds of thousands of dollars for testing, it really helps to have anecdotal evidence like this house that has survived numerous earthquakes. That’s why her house is in the slideshow that’s being distributed to thousands of people across Nepal.